Ilona Online - Nobody's nameless! Here's to people - okay, animals too - who appear to be anonymous, who are "just doing their job" and may even feel they're "just like all the others" but who have actually made a big difference in somebody's life and are special because of who they are. but you mean so much to me. and will listen better to your instructions. but rather you avoided them. to show you were not pleased. you seemed to calm down a bit. when you responded to my touch like that. and a good horse can do? in a trot or gallop. so we had it all to ourselves? I will always love him for that. I was craving a break from work? Could you sense it somehow? Were you the answer to my prayers? but my body just wouldn't give in. and threw me off balance. Hurray, a 3 months' vacation! the happy sounds of children playing. no thoughts racing through my head. in trying to do things with only one hand. she wanted and needed so badly. to recover somewhat from the hard work. and his team of physiotherapists. I love people who really listen. with the therapy and the therapist. But who wouldn't feel comfortable around Nicole? and a lot of laughter and encouragement. and her sweet, cheerful personality. he's a very warm and open person with a beautiful sense of wonder. even though at times it inevitably hurt. create such a positive, welcoming environment. and you've really enriched my life. Thank you so much for all of that. 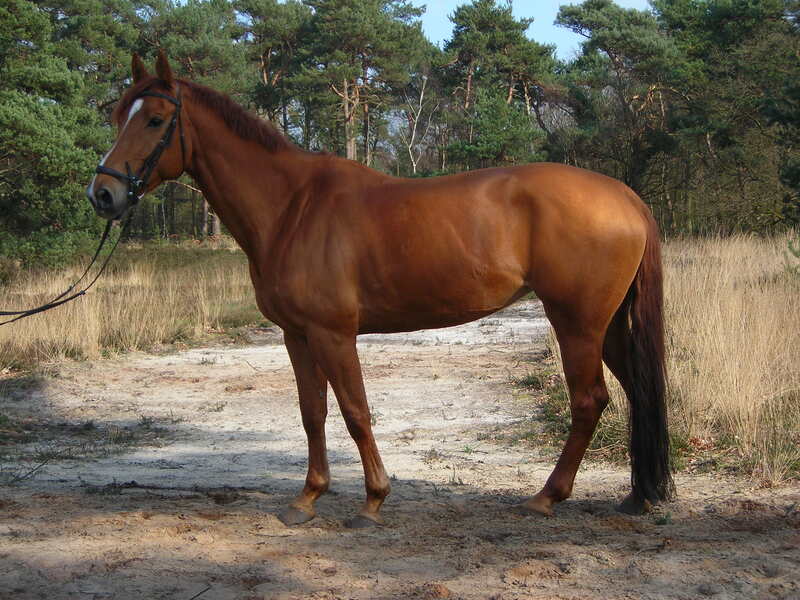 Thanks to the Prinses Maxima manege for providing a picture of No Name. They own all the rights to this photograph so if you wish to use or reproduce it in any way or form, please do so only if you have their explicit written permission. If you happen to be in the neighbourhood and need a good physiotherapist check out Medisch Centrum Overhees (Medical Center Overhees; site is in Dutch :) or follow your GPS to 52.1715117 North, 5.2777567 East; that should bring you pretty close to their doorstep. If you wish to publicly thank anyone (or manyones) or you wish to comment on this page there is room for you in my guestbook. For the truly curious: read some facts and fiction about me.